Ellie started Physie at Balgowlah Club as a tiny 2-year-old because she was so eager to join in with her older sister, Georgia. She has been an outstanding Balgowlah Physie girl ever since competing in 36 teams for the club and placing at Nationals 9 times. She has also played a crucial role in the success of many of the Balgowlah Physie teams she has taught over the years. Ellie is actually the third generation of Balgowlah Physie girls with her Grandmother, the oldest member of Balgowlah Club and her mother, competing for the club for more than 50 years. Having recently completed her Bachelor of Education at University of Notre Dame, Ellie is a qualified primary school teacher and is able to use her teaching knowledge as a Physie teacher. Ellie began teaching Physie in 2008 and she currently teaches our 9-12 year class. Ellie has a wealth of experience and knowledge to share to the benefit of the whole club. Georgia has been a member of Balgowlah Physie Club since she was three years old. She values the lasting friendships she has made through Physie and still competes with girls she started with all those years ago. Over the years, Georgia has achieved outstanding personal success in Physie, placing at the Senior Opera House eight times and representing the club in the prestigious “Grand Champion” final at the Opera House three times. Georgia is passionate about dance and has participated in jazz, modern and ballet from the age of six. She completed all ballet exams, up to and including Advanced 2. She has also trained as a fitness instructor. In 2007, Georgia began teaching Physie and she is an inspiration for all our younger members. 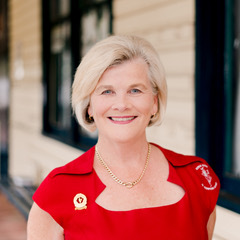 Georgia has taught across all age groups for Balgowlah Physie Club and is a knowledgeable and accomplished teacher. She currently teaches our 13-14 years, 15-1st years, 2nd years, Novice and Open Senior classes. Maxine’s love of Physie started when she was five years old and she enjoyed many happy years as a Balgowlah Junior. At the age of 16 she started teaching, as she wanted to pass on her skills and passion for Physie to others, so that they too could enjoy the experience. 40 years on, having shared in the lives of thousands of pupils on the Northern Beaches, she still loves her teaching role at Balgowlah. 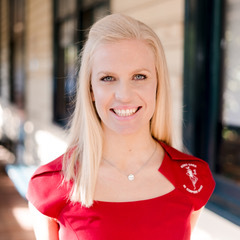 Maxine currently teaches all our Balgowlah ladies classes and is a full-time Director of BJP Physie. As an individual competitor Maxine won the prestigious title of Open Grand Champion three times, was nine times National Champion and three times national place getter. But her passion has always been in teaching. Her mission is to give all students at whatever level, the confidence to perform with success and to enjoy the bond that grows with club teammates and teamwork. 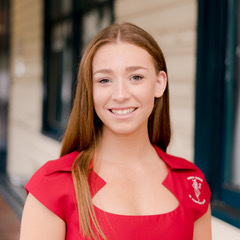 Jazzy has been with Balgowlah Physie since age three and has enjoyed the competitive side of the sport as well as being able to come to class with a group of friends each week. She has been successful as both a junior and senior Physie girl, reaching eight national finals, taking three national places and becoming the 12 Year National Champion in 2011. In 2013, Jasmine began teaching and since then, has enjoyed sharing her passion for Physie, with more than 15 years’ experience in the sport. Jasmine currently teaches the 7-8 years class and assists in the 5-6 years class. She hopes to pass on the values of hard work, resilience, friendship and fun to our junior girls. What she loves most is watching younger members grow and develop in confidence as they move up the junior ranks. Jazzy completed the BJP Teaching Certificate II, and is currently studying a double degree – the Bachelor of Business and the Bachelor of Creative Intelligence and Innovation at the University of Technology Sydney. Lacey asked her mother if she could do Physie after watching her Aunties compete in a Physie competition in Queensland. She was just two years old! Since then Physie has become a big part of Lacey’s life. She has enjoyed great success in the junior ranks achieving a National Title in 2011 at age 13 and an additional two national placings. 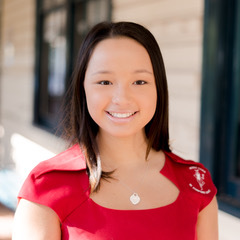 In 2012, Lacey started teaching at Balgowlah Physie Club because she enjoys seeing the improvement in the girls, especially the new members. 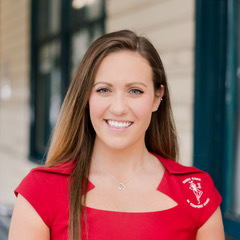 Lacey completed the BJP Teaching Certificate II in 2016 and is currently completing the Bachelor of Sport and Exercise Science at the University of Technology Sydney. Lacey currently teaches our Preschooler and 5-6 years classes, and assists our 7-12 years age groups. Lacey teaches and competes individually and in teams. She enjoys the versatility of the senior syllabus and is a wonderful role model to the junior girls. Caitlin is a wonderful teacher who is loved by the many girls she teaches. 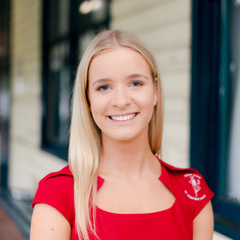 She has been a part of Balgowlah Physie since she was five years old, and has been able to pass her experience on to the next generation of Physie girls. Caitlin competes in both team and individual competitions and instils her own determination into her pupils. Caitlin has been a very successful physie girl, qualifying for the national final 11 consecutive years, including taking out a fifth place at a national level. She has also been a part of two cup-winning teams in BJP’s Championship Grade competitions. Teaching young girls is something Caitlin adores and is passionate about, and that’s why she is such a devoted Physie teacher. Caitlin currently teaches the 9-12 year class. She is completing the Bachelor of Sport and Exercise Management at the University of Technology Sydney, which she feels helps her in her teaching role at Balgowlah Physie.